I'd like to flesh out how we run ubuntu-one a little bit better so we don't collide. First, some background. 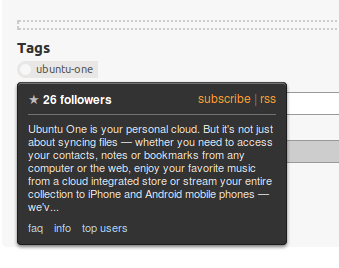 The Ubuntu One team at Canonical uses Ask Ubuntu as a place where they send users to get community support (and they participate heavily in their tag). 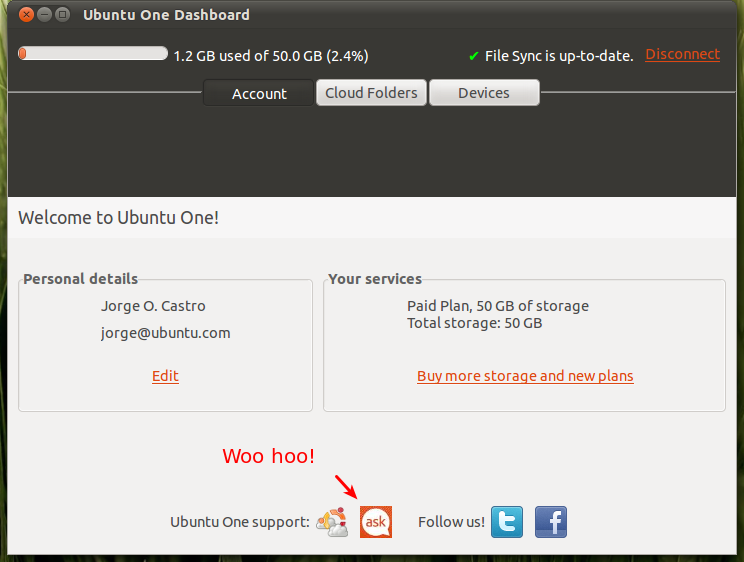 Unfortunately sometimes users will use Ask Ubuntu as a fancy ticket system instead of just asking questions. We be careful about closing ubuntu-one questions too quickly. For example a user asks question on Friday night and maybe someone on the team won't be able to get to it until Monday kind of things. So tl;dr is "yes, we know that question might be offtopic, but let's make sure the user has a place to go first and THEN close/delete." I don't think we should get too despotic about these things. Ultimately any question has to fall into "we can deal with it" (be that with edits, as in this case) or "this really should be somewhere else". On the face of it, I don't think we should treat any tag with any more leniency or we face getting bogged down in rotting questions. But I do see the problem. We have people with issues that should be elsewhere (e.g. a bug report) but rather than just closing the question, we should still aim to help them, even if that means helping them get help elsewhere. Ideally we'd have a "Belongs on Launchpad" close option that both explains why something might need to be reported and (better yet) how to file a bug. This seems like a minimal feature to me (and much simpler than the fuller "Migrate to Launchpad" option that we've talked about before). ... But how do we go about getting this implemented? Has this been suggested already? The ubuntu-one tag wiki and excerpt should be updated - currently, it reads like an advertisement copy pulled from it's product page (probably is, too), but now that tags and their excerpts are easily available when asking a question, information on what not to post here (bug reports, etc.) should replace that. PS. Tag wikis are now editable by all, pending approval by users with sufficient reputations, so everyone can contribute! The given example of a now nice question on ubuntu-one is also a good example to discuss on how far we should go when it comes to support U1 (or get supported by U1). In the first place (go through revisions) this question was neither tagged ubuntu-one nor in any other way remotely reminicsent of the way we are used to ask here. I was very impressed how @dv3500 turned it good and interesting indeed. I do feel that this may be a better way to handle these kinds of questions than just closing them as it may keep people happier with Ubuntu on the long term. However there are questions that ask for closing. It would be unfair to treat U1 questions differently.